Which frame bag fits which bike? With Christmas approaching, we're being asked which of our custom frame bags fit which of our bikes, past and present. So... here we go...! 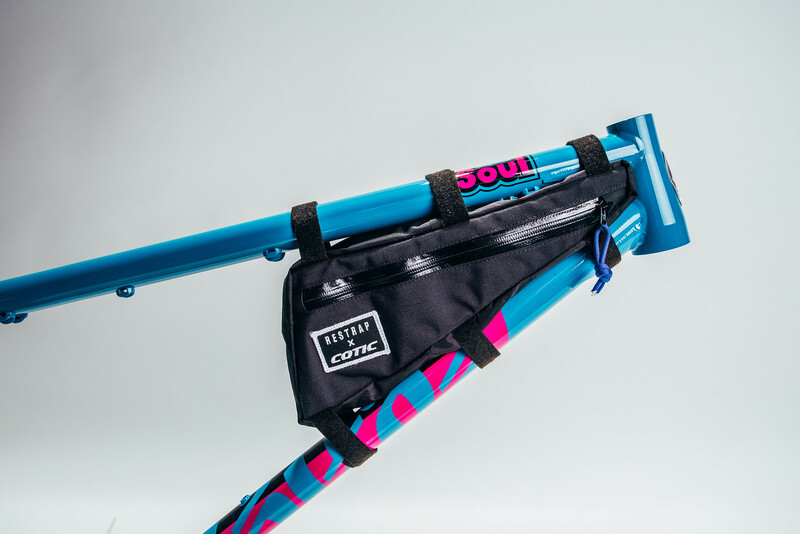 For all our older mountain bikes, from before we introduced our longshot geometry, it's simple, you will need our original RESTRAP x COTIC bag. This fits all sizes of both hardtails and full-suspension non-longshot bikes. 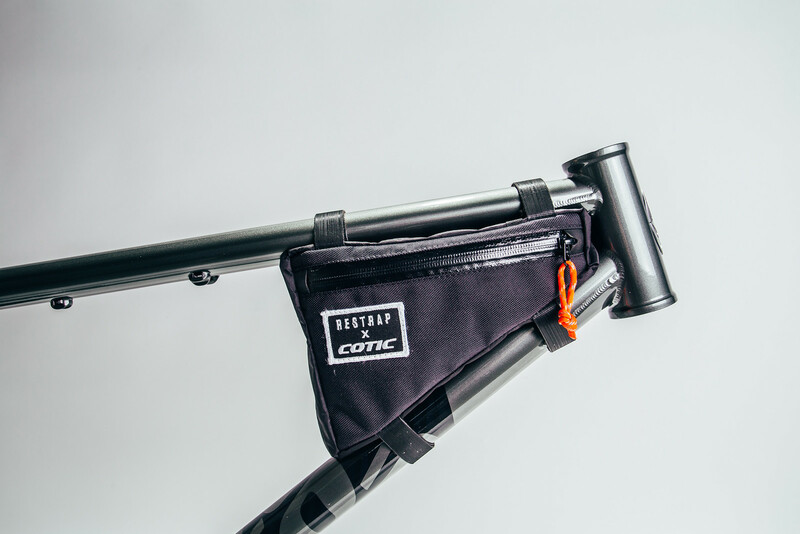 For the BFe26, that also uses the original RESTRAP x COTIC bag, for all sizes. 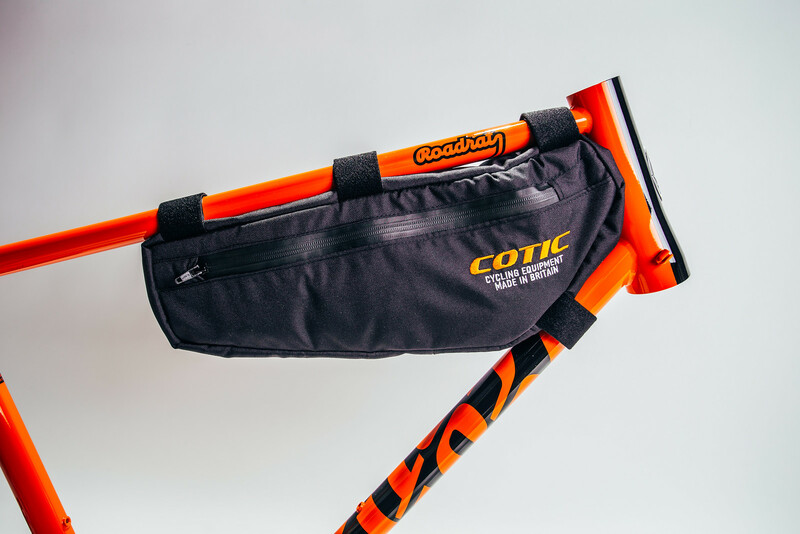 For all the longshot geometry models, for Large and XL sizes, the original RESTRAP x COTIC bag fits (see first photo). For all the longshot geometry models, for XS, Small & Medium sizes, we have a new shape RESTRAP x COTIC bag made specially to fit (see second photo). For all our lifebike models, old and new, Escapade and Roadrat, we have our own Cotic Cycling Equipment bag made specially to fit (see third photo). We strongly recommend frame protection (electrical tape, bar tape, All Mountain Style stickers) to avoid any paint loss under the straps. We are getting in some AMS honeycomb XL clear frame guard sets... you can pre-order a set of these with your frame bag.